Have you ever lost important files on your desktop, laptop, or tablet? What could be more frustrating than that? It doesn’t matter if you accidentally deleted the files or you lost them due to a system crash. You will feel bad about it, nonetheless. The good news is that there are a number of free data recovery software to help you overcome all your data loss issues. An example is the EaseUS Data Recovery Wizard, which is largely free-of-charge. It is first developed in 2004 and has lived up to its billing as a great resource when it comes to data recovery. In this write-up, you will read about how to recover deleted files using this resource. The process of downloading the EaseUS Recovery Wizard is quick and easy. Within no time, you will have the program installed and ready for use. Of course, this is in reference to the free data recovery software, not the two paid-for options. You will have to switch the computer on to be able to retrieve the files. As soon as you install the program, you can start running the ‘Deep Scan’ option in the computer partition from which the files are being recovered. You will have the opportunity to see a list of all the previously deleted files whether purposefully or otherwise. Although it doesn’t take long to complete the ‘Deep Scan’, you can opt for the ‘Quick Scan’ if you are in a hurry. Again you will get a list of all lost files from which you can select the ones to recover. Apart from being able to recover deleted files, you can also get those that were lost due to RAW partition, system crashes, partition loss, viruses, formatting, and hard disk failure. The EaseUS Data Recovery Wizard is effective in recovering text documents, pictures, and videos. You will get the files intact without compromise or alteration. 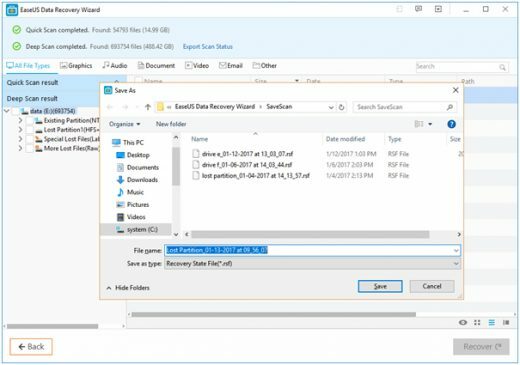 Who Can Use The EaseUS Data Recovery Wizard? Anyone who has lost data on any form of electronic device can use this free data recovery software. You can download it on a Mac or Windows computer. After installing it, you can use it to recover data on a Desktop computer, laptop, MP3 players, SD cards, cameras, zip drives, iPods, and SSD cards. 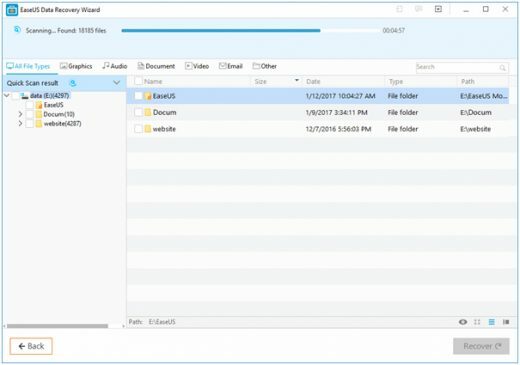 You will find it easy to use the EaseUS Wizard, even if you have no computer training. You can use it in English, Spanish, Mandarin, and other major world languages. 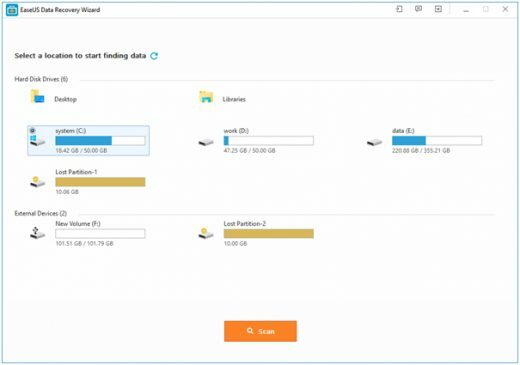 The EaseUS Data Recovery Wizard is simple, intuitive, and outstanding when it comes to restoring lost or deleted files. For once, downloading the program is simple and easy. Once you have it installed, the wizard-like interface will guide you through the data recovery process. You would hardly expend any energy while at it. It is encouraging that it is largely a free data recovery wizard. Whenever you have an issue with recovering deleted files, contact the dedicated customer support. Any problem you have encountered will be sorted within no time. Talk about an opportunity to have the best customer experience.